LAS VEGAS – Hot Rod City Las Vegas and Michael Dezer, owner of one of the world’s largest vehicle collections at The Miami Auto Museum, are excited to announce the launch of the informative and visually compelling new website for Michael Dezer Presents The Hollywood Cars Museum. Designed by eleven time Electronic Media Award recipient Jeanne Quinn of SeeQuinn Publishing & Design, www.hollywoodcarsmuseum.com includes a section detailing the history of the museum – which features Dezer, one of the world’s foremost car collectors, and offers a sneak preview photo gallery showcasing many of the classic film and TV vehicles in the 30,000 sq.-ft. museum. These include the Lotus Esprit Submarine Car driven by Roger Moore in the 1977 film, “The Spy Who Loved Me,” Batmobiles from both TV and film adaptations, Doc Hudson’s Hornet from the animated Pixar film “Cars,” “Chitty Chitty Bang Bang,” Flintstone Mobiles, “The A-Team Stunt Van,” the “Captain Phillips” lifeboat, “Bonnie and Clyde’s” death car, and custom Ohberg creations like the 40-ft. Pink Hot Tub Convertible Limo and the Bunk Bed Wild Custom Car. Throughout the summer of 2015, kids under 16 will be given FREE admission with the purchase of an adult ticket. The website includes a coupon for $5 off admission for adults as well. 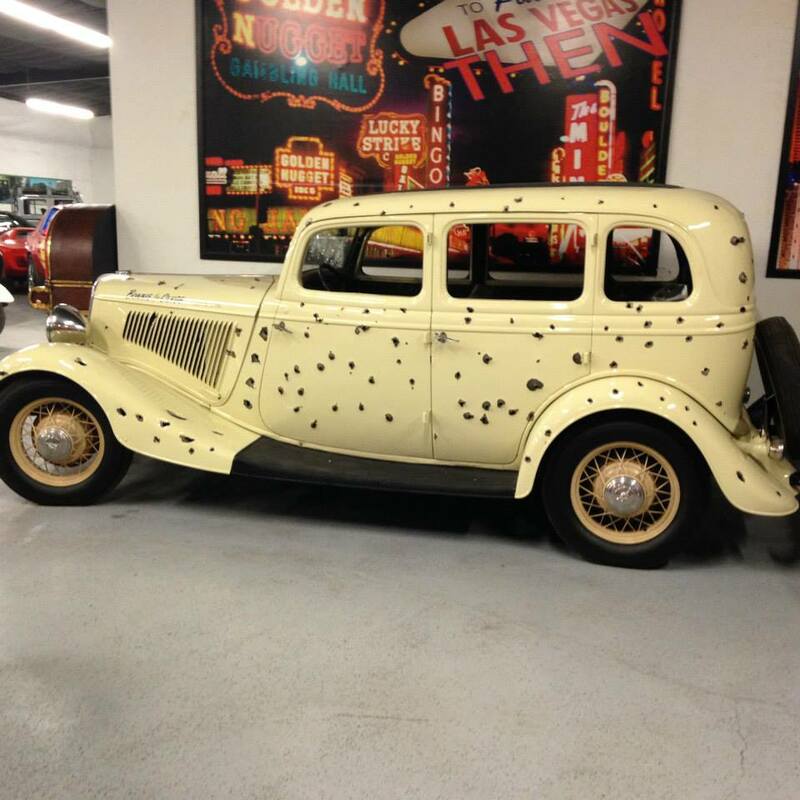 Located in the heart of Las Vegas, Hot Rod City, host of the Hollywood Cars Museum, offers many high quality classic cars and hot rods for sale both onsite and at www.hotrodcitylasvegas.com. Open 7 days a week – 10 a.m. to 5 p.m.